Choosing the right eye shadow for yourself can seem quite a daunting task especially with so many choices available. You want to select colours that enhance your natural eye colour and make them pop. I’m going to take you through each eye colour and give you some recommendations of eye shadows to choose from. 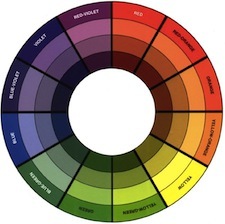 One of the easiest ways to find colours that compliment your eyes is to use the colour wheel. Find your eye colour on the wheel, the colours that sit directly opposite are within the range of colours that you should you should use to make your eyes pop. look for golds, bronze’s, warm oranges, browns in any shade, grey and slate. Dior Fusion Mono – Metallic look – great for evening makeup, use in the inner corner of the eye for a fun eye pop, for maximum effect contour the socket with matte browns and take underneath the eye, along the lower lash line. Try ‘Mirror’ for a golden shine. Brown eyed girls (or boys) are lucky as you have a neutral eye colour which mean’s that they generally suit all colours. However, your skin tone will also play a part in which colours suit you, for paler cool tone skins (pink undertones) choose warmer tones like gold, warm oranges, peaches & muted greens, and warm skin tones (yellow undertones) can go all out with bright and bold colours like blues & purples. Green-golds and browny-mauves for a relaxed look & deep mauves & bright purples for a statement eye. Bobbi Brown Shimmer Wash Eye Shadow in ‘Stone’ is a great all-rounder for you green eyed goddesses, team with a grey eyeliner for a more polished look. Hazel eyes come in an incredible array of tone’s, you often see flecks of gold, brown, grey & green within them, so it’s up to you to decide which tones you want to bring out. Gold flecks – use muted blue tones, want to make the gold flecks pop – go for Mauves. But nothing makes a hazel eye sparkle more then a deep bronze or rust shadow – try ‘Teddy‘ eyeliner by MAC for a smouldering look. Have fun and play around to find out which colours suit you, remember its only makeup – it washes off!